For a fifth year running Ferry Farm is hosting British Dressage Affiliated events from April to Sept, see BD website for details. Unaffiliated dressage and Affiliated dressage from April to Sept. Dates on our website and www.ridingdiary.co.uk/. 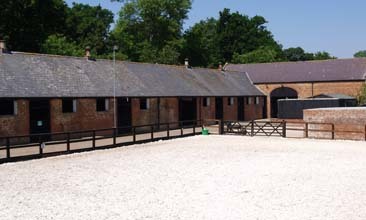 Ferry Farm Livery Yard is a BHS Approved Livery Yard established in 1999. The yard is run by Violet Hill, an equine graduate with over 20 years of experience and Lesley Walker, who left the PR industry to join the business after being a customer at the yard for many years. Violet Hill is our resident instructor, with over 20 years in the industry and competes at dressage, show jumping and showing. Violet has worked for international show jumper, John Whitaker and trained with Tessa Fielder for dressage. Lessons cost £15 for livery customers or £20 for horse owners external to the livery services. Internal Stabling and external loose Boxes up to 16 x 20 feet. All year turnout in pairs. Floodlit all weather arenas surfaced in TurfFloat™. Alarmed tack room with individual lockable storage boxes. Routine yard visits by vets, saddlers and dentists. Clipping, trimming, bathing and plaiting services available. The level of service can be tailored to meet the individual needs of both horse and owner, thus making horse ownership easier, more convenient and less stressful. The horses benefit from all year turnout, with routine vet, dentist and farrier visits. Copyright © Ferry Farm Livery Yard. All Rights Reserved.